i did not know that......!!! 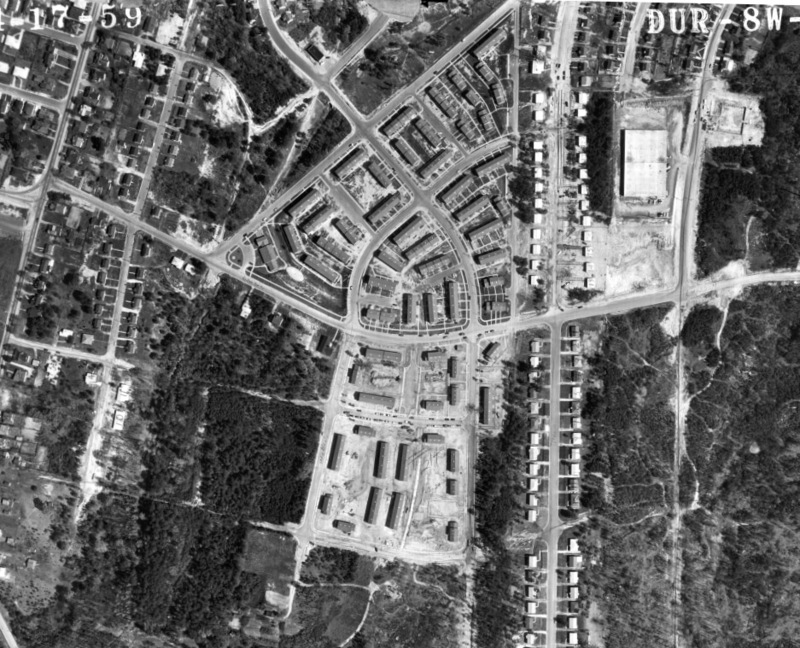 McDougald Terrace was developed on vacant land east of Hayti and NCCU as part of large-scale public housing development in Durham, funded and authorized by the Housing Act of 1949. 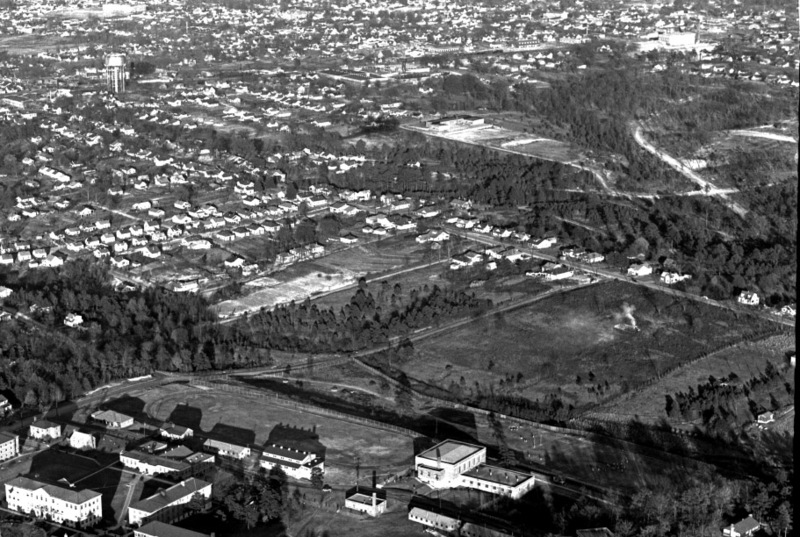 Two major, racially-segregated projects were developed in the early 1950s - Few Gardens, for white residents, McDougald Terrace, for African-American residents. 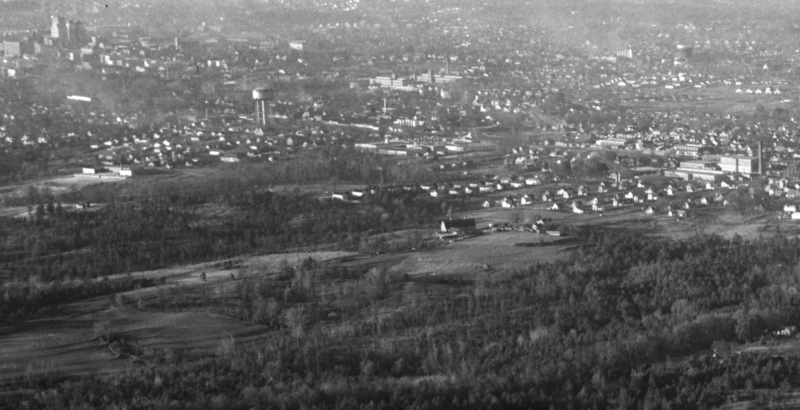 From near Ellis Road, looking west-northwest, pre-McDougald Terrace, late 1940s. 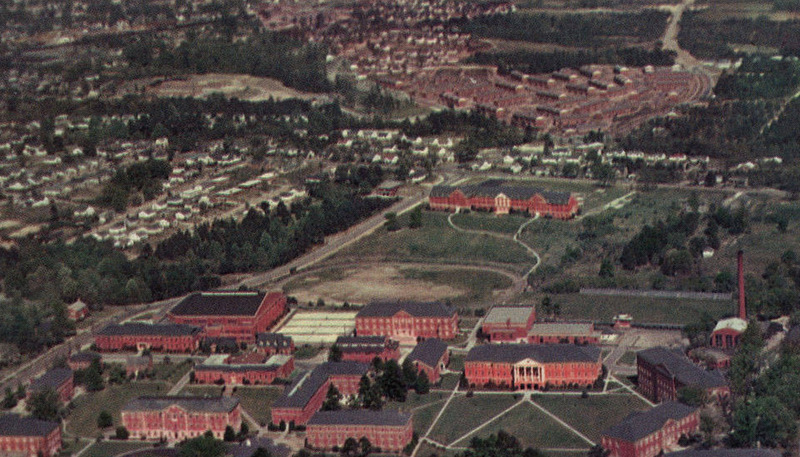 Few Gardens was completed in 1952-53, and McDougald Terrace in 1954. Similar view to the east-looking bird's eye above, with a new McDougald Terrace in the background.